Wow! This is just in. 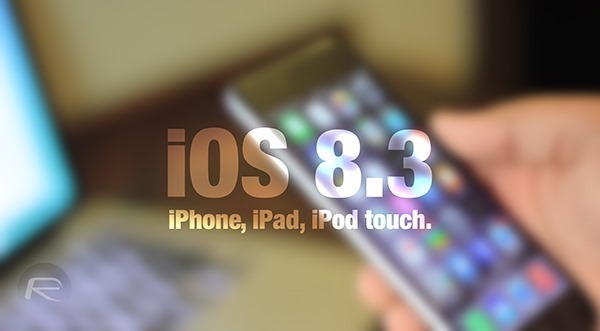 Apple has just released iOS 8.3 beta 1 download for iPhone, iPad and iPod touch. 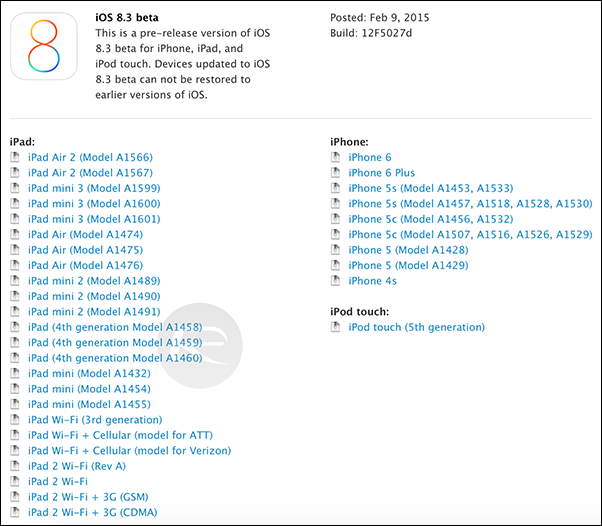 iOS 8.2 also remains in beta mode, beta 5 of which was released only a week ago. If further proof was required that Apple is really stepping up its iOS release cycle, then today’s roll-out of a pre-release iOS 8.3 beta to developers should reaffirm this notion. Having recently pushed iOS 8.1.3 download to the end user, iOS 8.2 remain well into its beta program, apparently slated for release over the next few weeks. Amid all this, the Cupertino has just pushed a first beta of iOS 8.3 to registered developers. iOS 8.2, as we now know, will be integral to the launch of Apple Watch, a product that Tim Cook suggested was on track for shipping in April. With a standalone app for Watch users, adoption rates should be as high as they’ve ever been as the tech world gets itself in a tizzy over the Apple smartwatch, but as this beta showing demonstrates, the Mac maker is already looking ahead to what’s next. The changelog for the iOS 8.3 beta doesn’t give too much away, although it does arrived accompanied by Xcode 6.3 with Swift version 1.2. Since it’s hot off the press, we’ve not yet had the chance to give it a proper test run for ourselves, but once we have, we’ll have a feature article on the big changes and potential bugs. One feature that is a part of the bargain, however, is enhanced, Wireless CarPlay support for automobiles that support it. If, as depicted, your car features the wireless button on the steering wheel, you can hook your device up to it as if you were scanning for wireless speakers. This, once again, further promotes the "it just works" mindset that Apple has, and although CarPlay has taken, if you’ll excuse the pun, a bit of a backseat since launch in light of Apple Watch and the like, this new integration should make the experience of using it just that little bit more pleasurable. So, provided that you’re a registered developer, you can go ahead and install the iOS 8.3 beta right now. The fact that iOS 8.2 is also currently in beta means that you’ll need to have more than one free iOS device handy if you wish to keep up with both, otherwise you may have to forgo iOS 8.2 beta 5 download for now. This is stupid, WTF is going on with Apple? Hmm, wonder what vehicles and aftermarket headunits will work with this wireless CarPlay feature. I was just taking a good hard look at Pioneer’s new App Radio 4. A wireless CarPlay firmware upgrade to this unit would make a huge difference, especially at its $450 price!